However, the biggest difference is that the Polo GT TSI gets a rear spoiler which enhances the appeal of the car especially when looked at from the rear three-quarters. The ground clearance of 168 mm ensures the GT TSI is fit for most Indian roads. Overall, the car retains its classic, sober design and the subtle changes add to the sportiness of the new car. The paint quality and attention to detail is among the best you will find in a hatchback in India. The Polo GT TSI drives like a dream hatchback and it’s practical too. You get enough space inside the car to fit four people comfortably; three on the backseat can be a little cramped. The boot has enough space for two big bags or a sub-woofer, whichever you prefer.The driver gets seat height adjustment and the instrument panel shows a lot of relevant data like distance to empty as well as some irrelevant stuff like, in this case, the fuel efficiency. There is also tilt and telescopic steering wheel for the driver to adjust his reach. You also get four speakers with a music system that can read music off a USB device, SD card and AUX. There is also bluetooth connectivity for your smartphone and a lot of buttons on the steering wheel that you can explore when stuck in traffic – the car even makes sure you don’t get bored while sitting idle.The Polo GT TSI comes with automatic climate control and the overall fit and finish of the cabin is exactly what you expect of a German car. The chrome inside the cabin has been subtly used and is tasteful. 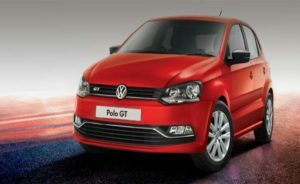 This is one aspect where the Polo does really well, as do the GT models. The GT TSI with the 7-speed DSG gearbox especially is an absolute bliss to drive. It performs well not just as a good automatic hatchback for your daily errands in the city but also as a performance hatch for your long drives. The GT TDI on the other hand has ample of torque thanks to which it doesn’t demand too many shifts while driving through traffic. That said, the clutch is a bit heavy. Ride quality and visibility all round on both the cars remains good. The Volkswagen Polo GT TSI retains the same direct injection, turbocharged 1.2-litre petrol engine and the 7-speed DSG gearbox from the earlier GT. In this trim the Polo pumps 105PS of power and 175Nm of torque. The gearbox is seamless and responds instantly to the inputs of the throttle. Slot it into Sports or shift manually and the Polo GT TSI with its easy and quick revving engine makes for a delightful drive. The GT TDI with the new 1.5-litre engine feels even more energetic than the petrol. Despite the fact that Volkswagen has retained the same engine from the standard Polo for excise duty benefits, it pumps out an extra 15PS of power and 20Nm of torque in the GT TDI guise. However, even though the new GT TDI is more punchy to drive than the regular similarly engine diesel Polo, it does feel a little lacklustre compared to the older 1.6-litre powered TDI. As for the shifts on this manual; the 5-speed gearbox is slick with precise and short throws. What advantage the Polo GT TSi has is that it isn’t just an automatic that is fuel-efficient but at the same time it is more powerful than the conventional automatics. This means you can take this hatchback for weekend drives and at the same time even use it as your daily city car. This is fun and convenient at the most affordable cost.The German build quality, driving dynamics and the styling of the Polo makes it stand out of the crowd. The Polo is the oldest premium hatchback in its segment, but the German automaker has done a phenomenal job to keep it fresh in design and even features. The Polo is certainly a good option to consider. 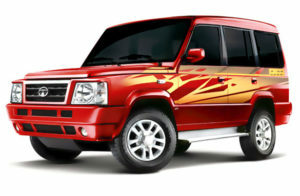 The Tata Sumo Gold is an entry level SUV from Tata Motors that promises tough characteristics and aggressive pricing. It’s been in the market for quite a while. Tata had showcased their upcoming cars in the month of June this year, in HORZONEXT where cars such as the Tata Nano CNG e-max, and the Tata Sumo Gold were launched. The Tata Sumo Gold has been a consistent player in its segment and to keep it updated, the company launched it with a levy of updates inside-out which make it look even more exclusive. With the new looks and the competitive pricing, does this SUV stands out to fulfill the needs of its target audience? The design of the Sumo was derived from the Mercedes-Benz G-Wagen and the connect is clearly visible. However, because of several updates it has somewhat different. It gets a new front grille with chrome on the upper lip and with GOLD embossed on it. The clamshell hood is retained and the ruggedness in its styling is retained. The side profile is the same, however it has been tweaked with some graphics and floating roof elements have been added to differentiate from the outgoing version. We believe that the company has gone overboard with the graphics. The rear too just gets extra graphics and that’s about it. There are no other major changes in the design as all the same panels are retained. – A modern music system with USB and Bluetooth connectivity, – A supporting hands-free calling, and – A pair of powerful dual air condition (first time in the segment). The comfort features include one-touch power windows and engine immobilizer. To make the drive easier, the company has added power steering which helps in easier maneuvering within congested city roads. To make people’s journey soothing and relaxed, the NVH (Noise, Vibration and Harshness) level has been reduced to a great extent. Get the Sumo started and the 3.0L Diesel engine is at its loud best. If anyone has driven earlier generation models, the experience of driving the Sumo was not very memorable considering the vibrations and discomfort. Not that the vibrations have gone off completely but then the new CR4 engine feels comparatively refined. We decided to be adventurous with this one and thus got the vehicle dropped just the Gateway of India in Mumbai. The traffic scene in peak hours is very chaotic with visitors flocking it to see the iconic landmark of Mumbai. In city traffic, steering the Sumo was very easy.The clutch is surprisingly smooth and the shifts too were decent. At lower engine speeds, the engine gets evidently audible because of its large displacement but then once the windows are rolled up; it gets cancelled with the good level of insulation inside the cabin. And now how the Sumo feels on highways. Firstly, it has a tall design and thus the body roll around corners at high speeds is evident. The tyres start screeching thus limiting acceleration. It does not come with fancy safety bits like ABS and traction but even then the Sumo manages its way.The 3.0L unit gets the Sumo to reach speeds of 110 km/h but then post that it needs a really long stretch of road to push the speedo further. Obviously, the Sumo is not a high speed car it is for rugged applications. The external ORVMs which jet out obstruct the wind flow creating an irritating noise. This happens as the speed goes on increasing. The Sumo Gold has been designed for good ride. It is meant to take occupants from point A to point B, and it does its good well.The Sumo Gold’s ride suppleness is excellent and the thick tyres absorb most of the road shocks, giving a pliant ride. We drove it through bad and rough roads and we were impressed in the manner the Sumo Gold glided over potholes.The handling of the Sumo Gold is decent. It’s a performance-oriented vehicle and it has a high centre of gravity due to its height. But, the vehicle behaves in a better manner when it is completely loaded, when compared to an empty car. The steering wheel is also light and easy to manoeuvre in tight spots because of its smaller turning radius. The braking setup on the Sumo Gold includes disc brakes on the front runners and drum brakes on the rear wheels. All doors get side intrusion beam. ABS or airbags aren’t available. There’s engine immobilizer on the top-spec GX variant, and so is central locking and keyless entry.Door ajar and seatbelt warning, both are present on GX only. 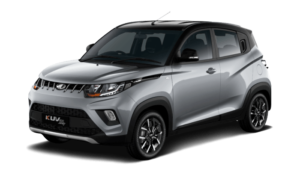 We agree it is a practical SUV and also can drive almost everywhere with its tall ride height and sturdy suspensions but then it also demand great number of updates which Tata Motors should seriously consider. They should begin by giving it a new modern design which will make the urban consumers connect with the brand enthusiastically.Spacious and roomy cabin in the Sumo is great but then why not give it a complete makeover instead of just adding a music system which was not a great addition as the aftermarket is filled with such options. Perhaps the Horizonnext initiative will eventually bless the Sumo with modern changes. Like mentioned above, the newly launched trim gets an extensive black treatment inside the cabin for a sporty yet classy appeal. While the regular variants are available with an option to personalize the cabin with different color schemes and cosmetics. Its interiors are made using premium leather material and is emphasized by metallic inserts. It has a sleekly structured dashboard that is equipped with several advanced aspects like an AC unit, an infotainment system and a sophisticated central console. The AC vent surround, door panels, dashboard and the central console are decorated with thick metallic strips. Also, it features a three spoke multi-functional steering wheel that is covered in leather and is engraved with company’s badge. Its cockpit is fitted with ergonomically designed seats with integrated headrest, which are electrically adjustment. These seats have been covered with high quality leather upholstery. The 911 Carrera range of variants comes with a luggage storage space of 145-litres and a total fuel tank capacity of 64-litres. While the Carrera S models have 125-litres of boot volume and a decent fuel storage capacity of 68-litres. 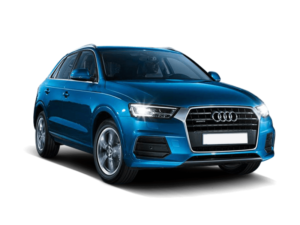 The car maker has equipped this model series with several utility based features like smokers package, floor mats, storage net in front seat footwell and ISOFIX child seat mounting on front passenger seat. Porsche has hit the nail totally plumb on the head with its most cherished sports car, and went straight back to the highest point of the class. The 991-era Porsche 911 is a triumph. There is a couple of complaints, yet in truth they’re more like quibbles. The movement quality on the manual could do with a frisson of honing, the torque bend on the 3.4 could be a bit more extensive and the parsimonious standard hardware rundown leaves a partially severe taste in the mouth. On that last point couple of recommendations: collapsing entryway mirrors, voyage control, a multi-capacity guiding wheel and Porsche’s phone module are every sensible choice. On the other hand, in the frame division less is by all accounts more. Typical dampers, with no controlling or move bar alternatives, leaves the 911 an exceptionally genuine driving, drawing in sports auto. The Jeep Compass is an all-new product with styling cues derived from the Grand Cherokee. The front fascia is a reminiscent of Grand Cherokee’s design language, which flaunts Jeep’s traditional seven-slot grille, albeit with modern updates. There are trapezodial wheel arches, which once again provides a glimpse of the rich heritage of the company products since 1940. These elements reflect the true Jeep DNA in the SUV, while several other components in form of rear fog lamps, roof rails, bi-xenon headlamps, dual-tone roof, LED tail lamps etc. give it a suave and urbane appearance. The Compass SUV is available in a total of five paint schemes: Vocal White, Hydro Blue, Minimal Grey, Exotica Red and Brilliant Black. 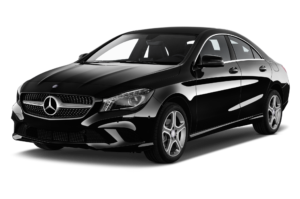 It is not often that you see a premium car manufacturer going full throttle rolling out new cars every month but then there is Mercedes-Benz. They have already launched an army of cars in last couple of months and now they are back again with a new offering. The recently launched Mercedes-Benz CLA-Class is priced at Rs.31.50 lakh (ESR – Delhi). 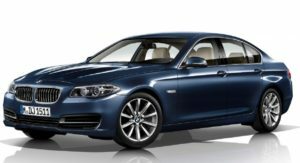 Even though it sits at the starting of the sedan range, it will offer almost same level of equipment as seen on more expensive iterations. It has the looks which can make starlets feel jealous. The company claims to have fine tuned the sedan after seeking inspiration from its F1 Motorsports division. We have heard only good and nothing else about the CLA. Being a curious bunch, we did have our own set of unanswered questions and thus we got into one to find out more. Here is our first impression report of Mercedes-Benz CLA Class. The first thing you will notice as you open the doors is frameless windows, which lend it a lot of elegance. Once inside the car, it is very Mercedes. Turbine-like air vents, wide dashboard with a 3D design and sporty dials look impressive. But the best thing in the cabin is the unique sports seats with integrated headrest. The dashboard gets a colour screen for the COMAND computer; however, the screen slightly obstructs your view of the road, especially if you are short (even after considering the fact that the CLA gets height-adjustable powered seats). The information display gives fuel-efficiency figures in the more convenient “km per litre” rather than “litres per 100 km”, as is the case with many other luxury cars. There are two engines to choose from under the hood of the CLA. One petrol and one diesel. The 2-litre petrol is more for the enthusiast. The turbocharged, 4-cylinder unit develops 183PS of max power and can propel the Mercedes CLA from 0-100kmph in less than 8 seconds and onto a top speed of 235kmph. The diesel, which is meant more for relaxed cruising, is the same 2.1-litre, 4-cylinder engine we have experienced on a whole range of Mercedes models in India. For the CLA, it is tuned to deliver 135PS and 300Nm. But the diesel is a noisy engine. It is noisy at start up, at idle and when when you rev it. One can also feel vibrations inside the cabin via the floor. The petrol on the other hand is quieter and more refined. It is also quicker and more involving to drive. The suspension can tackle most craters on our roads without taking a beating but the ride is a bit on the stiffer side. The ground clearance of 160 mm is decent enough but you might have to tackle some nasty speed breakers sideways. The steering is light at low speeds. Once the speeds increase, you can feel it weighing up. However, we would have liked the feedback to be slightly better. A trait common with Mercs, the brakes are brilliant and the CLA does no drama on hard braking. It is also very aerodynamic and this stability during high-speed straight line runs and aggressive cornering is splendid.